BLUENOSE II is an international sailing ambassador and is home ported in Lunenburg, Nova Scotia. 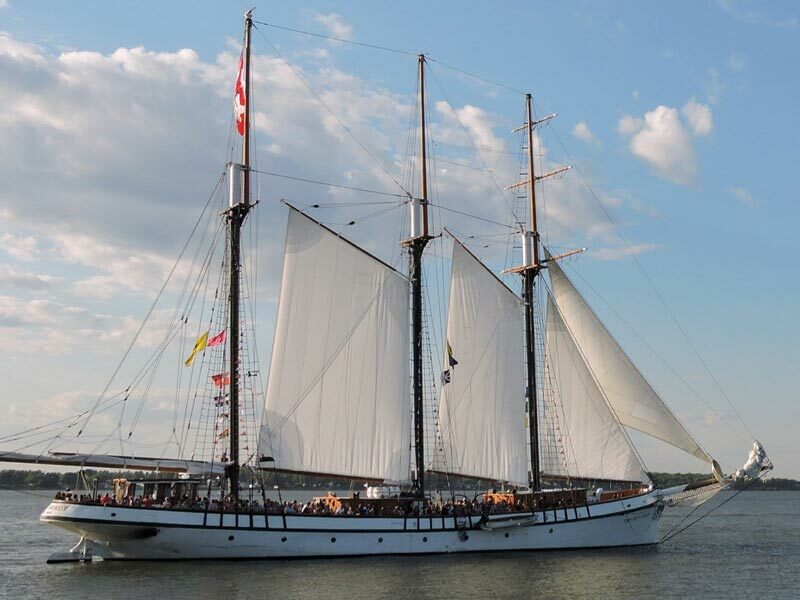 The vessel’s main purpose is to promote tourism for Nova Scotia and make the ship available for short day cruises when in Nova Scotia. 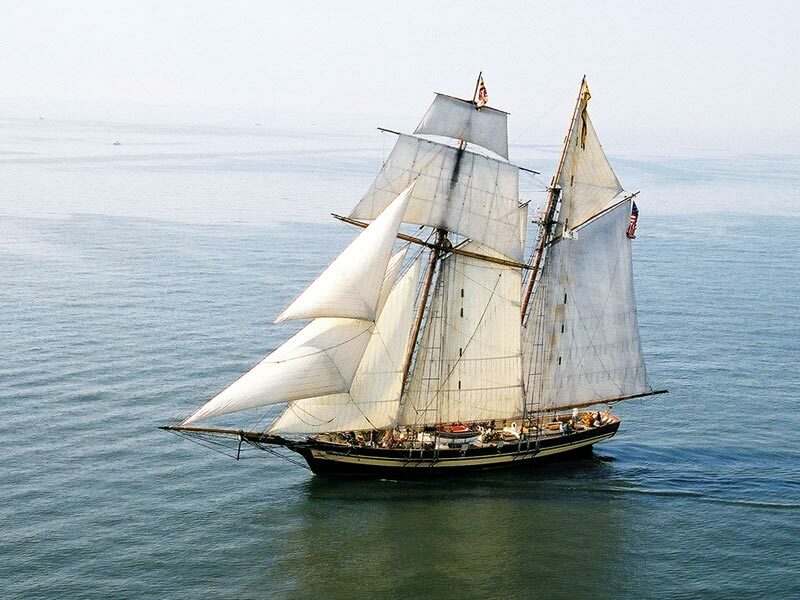 The mission is to promote the history and legacy of BLUENOSE & BLUENOSE II. 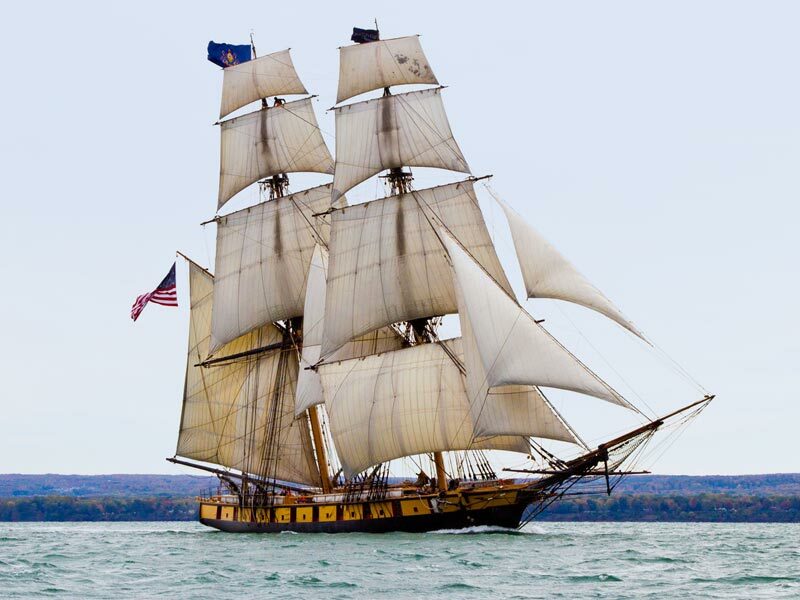 To teach and promote seamanship and life skills in young Canadians. BLUENOSE II is a replica of the original BLUENOSE, which was built in 1921 in Lunenburg, Nova Scotia. Under Captain Angus Walters, she became famous as winner of the International Fishermen’s Series of schooner races from that date until the last race in 1938. BLUENOSE was featured on a Canadian postage stamp in 1928 and on the Canadian dime in 1937, where it can still be seen. 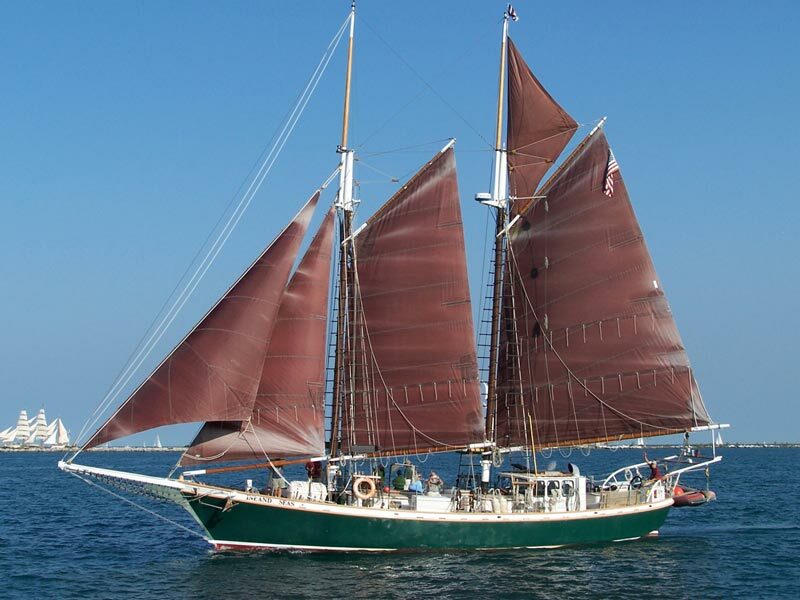 The original BLUENOSE was lost in 1946 on a reef near Haiti. BLUENOSE II built in 1963 is owned by the Province of Nova Scotia. BLUENOSE II is operated and maintained by the Lunenburg Marine Museum Society, which also operates the Fisheries Museum of the Atlantic.